Henry Keazor, Nicolas Poussin, Taschen,2007. ^ 『一個人』 2018, p. 74. ^ 『中野京子と読み解く 名画の謎 ギリシャ神話篇』 2011, p. 149. ^ His Lives of the Painters was published in Rome, 1672. 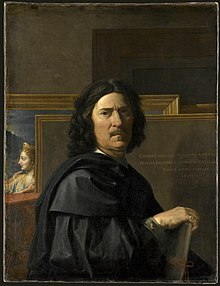 Poussin's other contemporary biographer was w:André Félibien. ^ 『しぐさで読む美術史』 2015, p. 30. ^ 『花と果実の美術館』 2010, p. 67.